At CarCluster.com, we have wide range of used cars listed for sale by owners, companies or dealers. 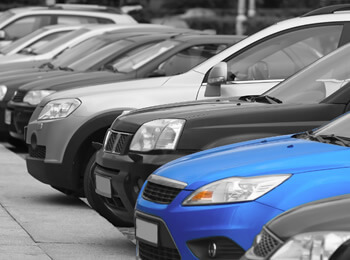 We provide a wide range of different types of used cars at affordable and reasonable prices. Unlike other used cars for sale listing website, CarCluster.com provides customized search or browse options where you can search for your dream car by models or by body type. One can also sell their used car at reasonable and affordable rates. They just need to register themselves as a seller. CarCluster.com is the smart, fast and easy way to buy or sell used cars online! To find a used car, simply use the used cars tab to begin your search. You can use the sell my car tab to place an online ad to sell used cars. Used or New Car dealers can also register as Dealer and place ads for their used or new cars for sale at CarCluster.com easily. CarCluster.com allows for consumers to efficiently and confidently purchase used cars inspected by our qualified car inspectors. Sellers may choose the option to have an expert inspector conduct a report on the used car prior to the used car listing. Thus, buyers may review the reports with full disclosure on past accidents, accidental damage, vehicle history reports, and over 150 other points. A comprehensive inspection report created for the differing needs of each used car will be created and made available for prospective buyers to view at their leisure along their search for the perfect car online. Buyers can search from the list of used cars for sale at CarCluster.com to purchase their dream car at an affordable price.